British Rapper Cadet Dies at 28 in Car Accident on His Way to a Performance - Integration Through Media ....! British rapper Cadet died Saturday morning in a car accident in central England while traveling to a performance at Keele University, his rep confirmed to PEOPLE. He was 28. The up-and-coming star, whose real name was Blaine Cameron Johnson, was a passenger in a Toyota Prius taxi at the time of his death, Staffordshire Police said in a statement on Facebook. The car had collided with a Vauxhall Combo van at around 1:30 a.m. local time in the village of Betley, approximately 150 miles northwest of London. Cadet was pronounced dead at the scene, according to police. Officers from the Staffordshire and West Midlands Serious Collision Investigation Unit are continuing to investigate the incident, authorities said. They’re asking for anyone with information or dashcam footage relating to the collision to contact them. Cadet’s family confirmed his death on his private Instagram account, promising to share “any information as and when we can.” They also thanked fans for their support. 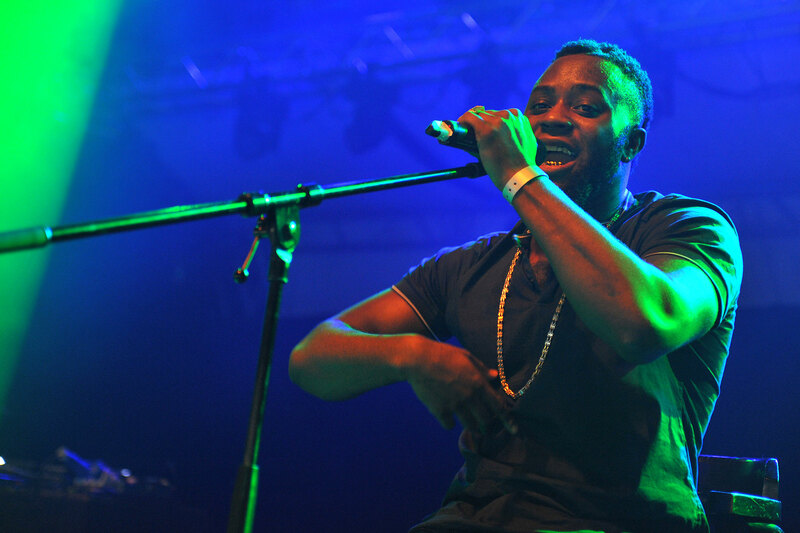 Cadet began his career in music rapping alongside fellow MCs Krept, Konan and Redz as part of the Gipset crew, who gained a strong following on social media in the late 2000s. Eventually, the group went their separate ways. Cadet’s intensely personal rhymes, which touched on his Muslim faith, began gaining him notoriety as a solo rapper in 2015. He released two albums, The Commitment (2016) and The Commitment 2 (2017). His most recent single, “Advice,” was released in October. Tributes for Cadet poured in on social media, beginning with his cousin Krept (now of rap duo Krept and Konan). “All the love you are getting I can honestly say you are not underrated anymore, cuz,” Krept added. Konan shared video of the two as well with a heartbreak emoji. “I wish bro could see all the good things ppl are saying about him,” Konan wrote.